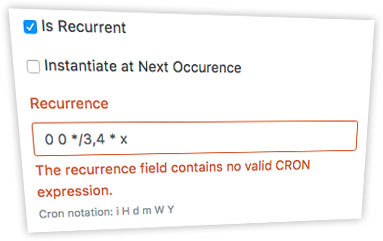 A Cron expression validator is created in Laravel 5.3. Laravel provides a versatile and extendable Validation class. Introducing new validations is done by registering a validation function with the extend method on the Validation facade. A Cron expression validator is created by utilising a cron-expression parser. The cron-expression parser used here is the fantastic cron-expression Composer package by Michael Dowling.